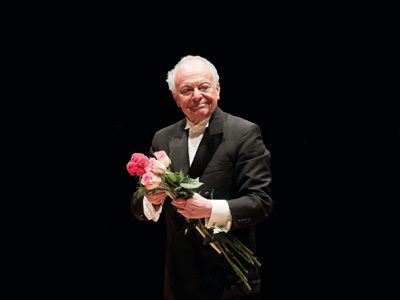 MUNICH — Lorin Maazel, 84, has quit the post of Chefdirigent of the Munich Philharmonic, according to a statement this morning by this city’s Kulturreferat, the government entity responsible for the orchestra. Reasons of health were cited. The news follows several weeks of concert cancellations by the American maestro, who is at present in Virginia. No plans were immediately revealed for the many affected conducting slots in the remainder of what was an agreed three-year tenure through August 2015. The abandonment leaves MPhil authorities with more egg on their faces. Their rift with Christian Thielemann, causing the revered German conductor’s departure as Generalmusikdirektor in 2011, remains a matter of dismay and irritation for many in this community, and their controversial hire of Valery Gergiev as Maazel’s successor for five seasons, to 2020, has already brought embarrassment. Maazel’s interregnum, as he himself saw it, was supposed to be something of a safe bet. This entry was posted on Thursday, June 12th, 2014 at 5:23 am	and is filed under Munich Times. You can follow any responses to this entry through the RSS 2.0 feed. Both comments and pings are currently closed.